The stone is 1.75 meter high and 1 meter wide. 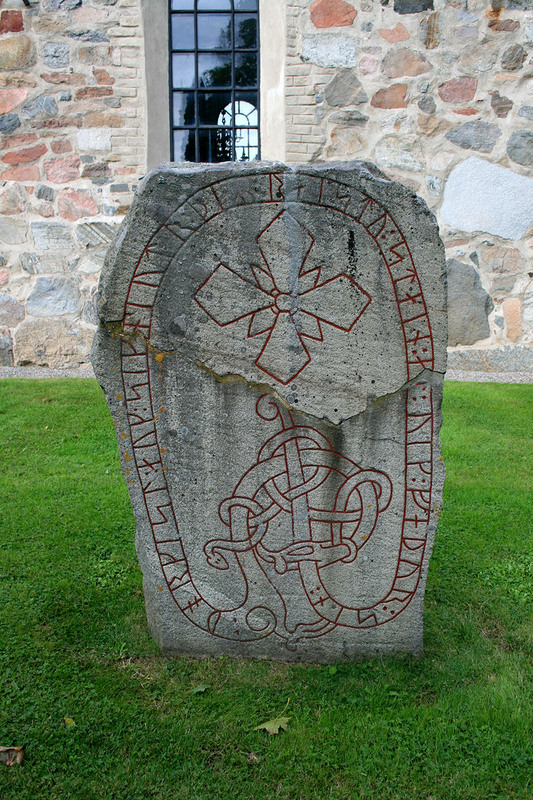 It was discovered in the foundation wall of Lovö Kyrka. In the 1800’s it was broken out of the wall and move on orders of Karl XV to Drottningholm’s Park. In 1952, it was returned to the church grounds where it was found.